Offset shrinking customer base with a newly defined customer base. Develop a refreshed brand and strategy that establishes trust and presence amongst younger audiences. After 80 years in business with a loyal but aging customer base, Shelmerdine faced the challenge of increasing its brand awareness amongst a younger target audience: meaning establishing a voice and presence where they spent most of their time – online. Shelmerdine’s growth opportunity in reaching younger generations lies in how they spend their money differently than the generations before them. They source their information through trusted sources and finally, only after researching online, they purchase their product or service. To establish the trust its audience seeks and fit with their buying habits, Vantage partnered with Shelmerdine to support and nurture the target audience’s online behaviour and deliver on their expectations. 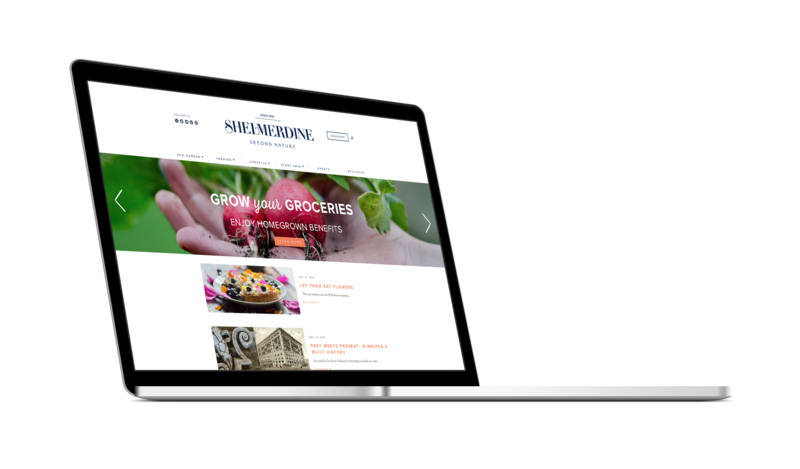 Before investing in new assets online we took this moment in time to revitalize and align the brand’s look and feel with the ambitious and flourishing business of Shelmerdine. We created an identity mark to encompass all of its products and services; a mark universal enough to be applied to its range of retail categories including its garden centre, fashion boutique, greenhouse cafe, and event programs. 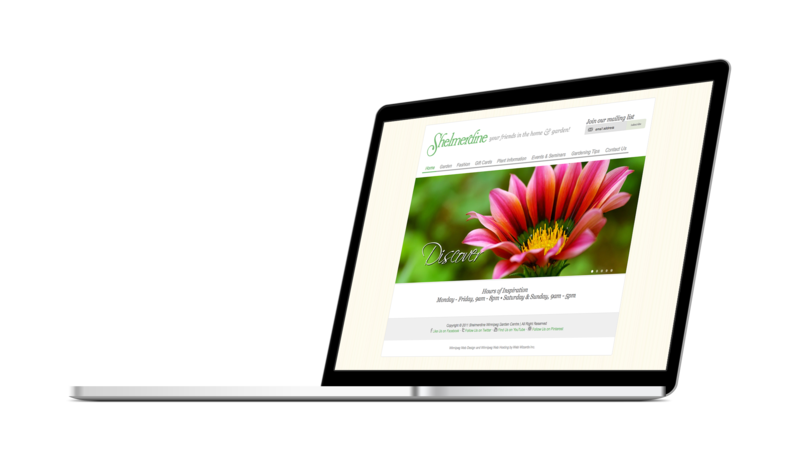 We launched Shelmerdine’s refreshed online presence, complete with a blog-ready website to support content tailored to its target audience and designed it to support future expansion. To encourage this, we developed an online strategy that provided lift to traffic conversion. This strategy allowed Shelmerdine to become the source of information its customer desires in one website complete with product knowledge, information and industry expertise.